Come on into BODY SPECS and experience what has made us an award-winning training facility! Get your first class and a personal training session for FREE! This original class format has three intensity levels! Call today to join in and give it a try! Guaranteed to challenge ALL fitness levels! 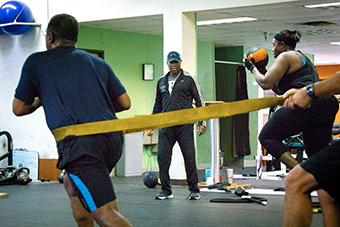 Come on into BODY SPECS and experience our award-winning training programs. Your first class and a personal training session are FREE! You have nothing to lose but weight and muscle to gain! CALL (734) 827-2744 TODAY! Mention this ad to receive a special discount and $5 off our popular BSI performance t-shirt!